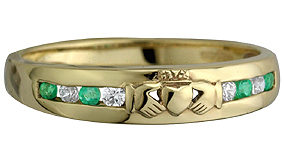 This ring shows the classic Claddagh symbol. The hands represent Friendship, the heart Love, and the crown Loyalty. .